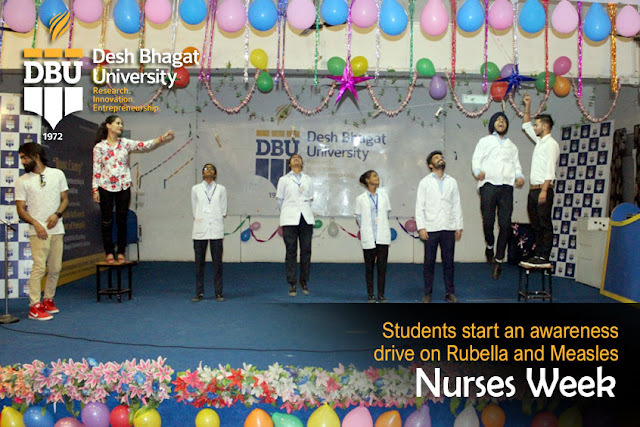 In top 5 universities in punjab, Desh Bhagat University Faculty of Nursing celebrated World Nurses’ Day in a special manner. 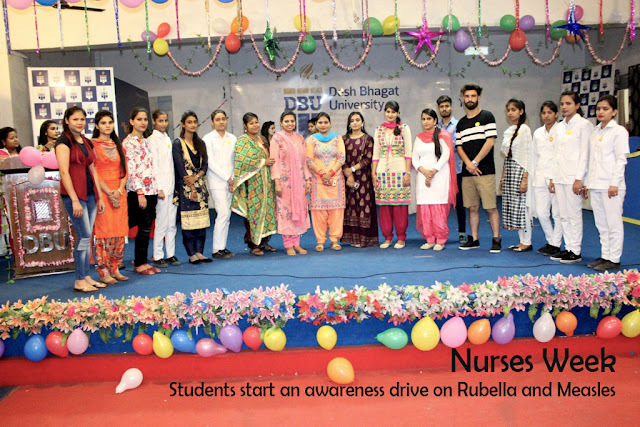 To mark this day, a week long health awareness programme was arranged. On the final day of the proagramme a special function was organised. The Students of M.Sc. 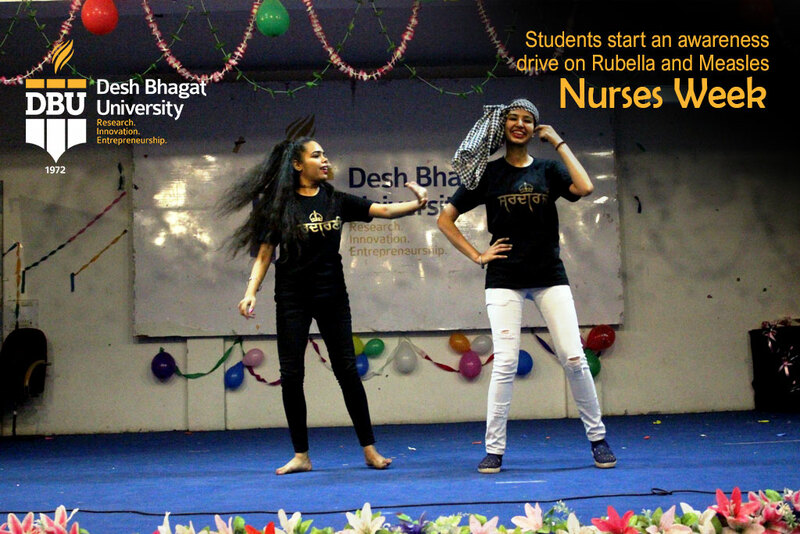 Nursing , Post basic Nursing, B.Sc. 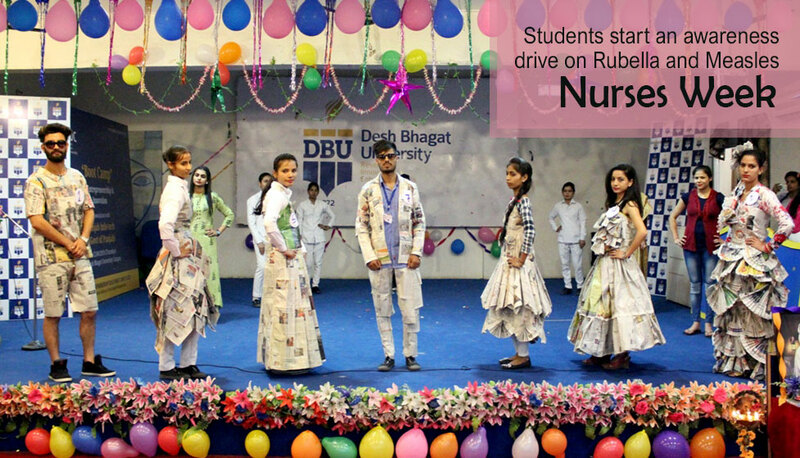 Nursing, GNM and ANM participated in it. University Vice Chancellor Dr. Virinder Singh inaugurated the event and appreciated the initiative taken by the nursing students. 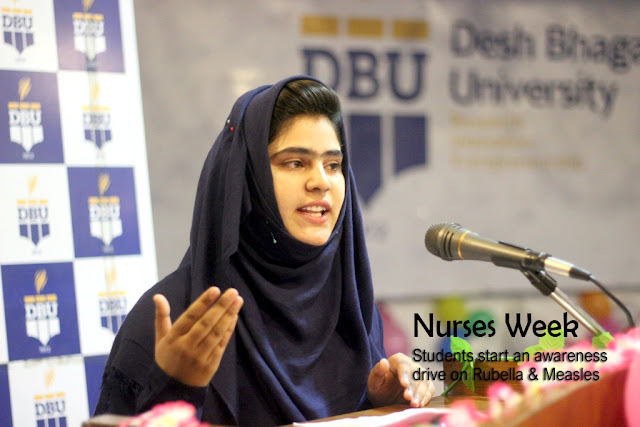 Speaking on this occasion, he said that International Nurses Day is marked every year to celebrate the contributions to society and medical care made by nurses around the world. The date was chosen as Florence Nightingale's birth anniversary – to celebrate the 'lady with the lamp' who nursed wounded soldiers during the Crimean War, and whose progressive ideas and reforms influenced the nature of modern-day nursing. 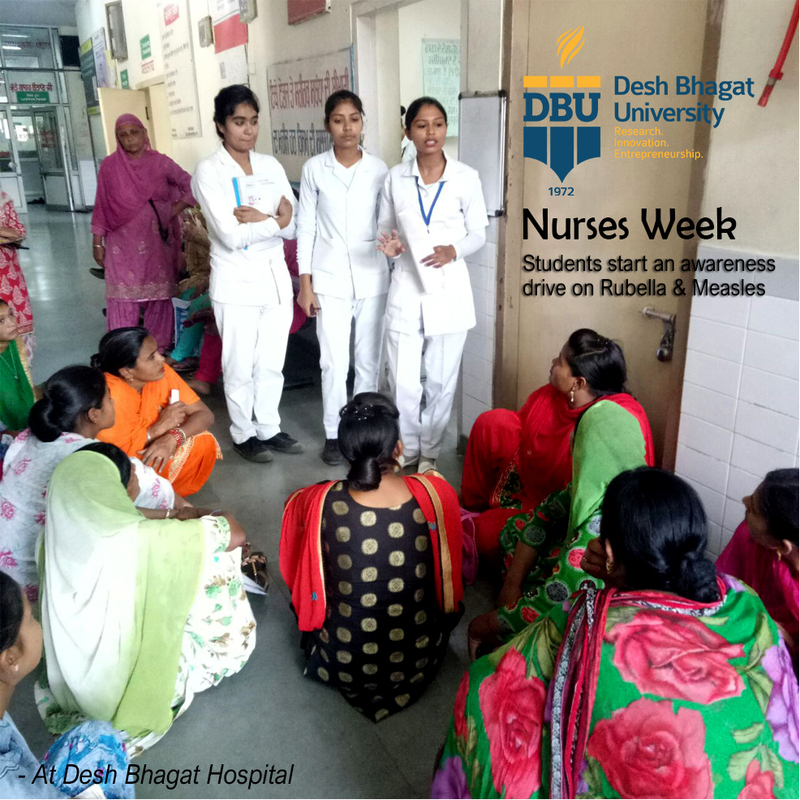 Giving more details about the awareness week programmes, Pro-Chancellor Dr. Tajinder Kaur said that nursing students took part in different activities. The students organised a door to door campaign to create awareness among people regarding different diseases like Diabetes, Cancer, Epilepsy, Obesity, Drugs and other medical conditions. 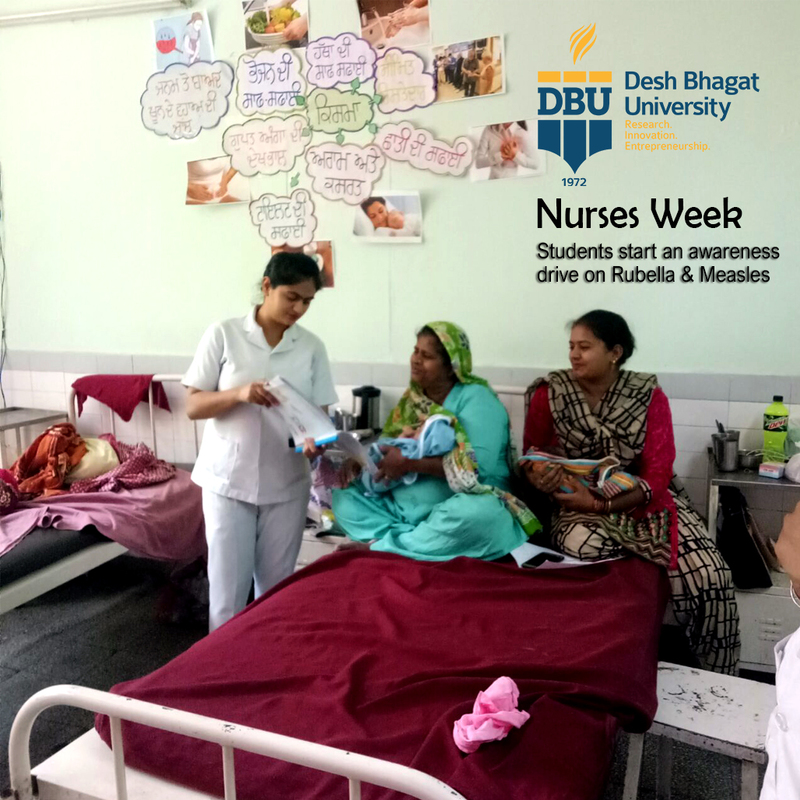 The students also started a special awareness drive on Rubella and Measles Vaccination. Chancellor Dr. Zora Singh appreciated the move and said that such programmes are very helpful for the people, especially for the rural area people. Vice Principal Deepak Shandilya informed that the students distributed pictorial pamphlets to spread awareness among school students, local residents and surrounding areas of Amloh. 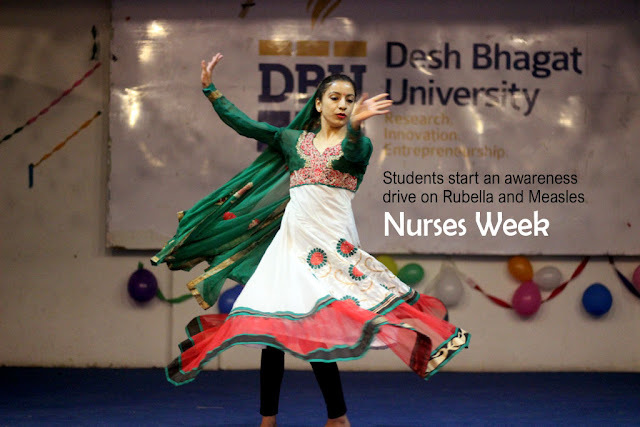 The students also urged the people not to give any attention towards the rumours being spread about the ill effects of Measles and Rubella vaccination.Later, the students who had made excellent performance in events like awareness activities, quiz contest, poster making, dance competition, speech contest and other competitions were honoured.